Christie® and HOYTS are pleased to announce that HOYTS Chadstone has become the first cineplex in Australia to install Christie’s groundbreaking RGB laser projection system that delivers the ultimate visuals for the best cinematic experience. Located within the sprawling Chadstone Shopping Centre, HOYTS Chadstone comprises 13auditoriums, including the 390-seat “Xtremescreen” premium auditorium fitted with a massive 24-meter wide screen – one of the biggest in Australia. The projection system here comprises a Christie CP42LH 3DLP® 4K RGB laser projector featuring enhanced wavelength diversification (EWD), connected via fiber optic to a laser rack housing nine laser modules that generate white light from multiple combinations of RGB primary color wavelengths to offer a spectacular 3D viewing experience on silver screens. Installed by the technical teams from Christie and HOYTS Cinema Technology Group, the system generates 45,000 lumens – much brighter than what current digital projectors with lamps can offer. Anchored by the Christie Freedom® laser illumination system, the CP42LH produces a color gamut that exceeds the DCI P3 color spec and replicates the Rec. 2020 space, making it the most advanced RGB laser cinema projection system available on the market. It consists of rack-mounted laser modules where each module can produce up to 5,000 lumens of white light. Because of the scalability of this platform, up to 12 laser modules can be easily added, removed, activated or disabled depending on brightness requirements. This provides up to 60,000 lumens per rack. Each laser module is also independently cooled, providing built-in fault protection, improved efficiency and reliability. Besides the CP42LH deployed in one of the Xtremescreen auditoriums, the remaining halls in HOYTS Chadstone are equipped with Christie Solaria™ Series digital cinema projectors comprising the CP2220, CP2230 and CP4230 models, all of which provide the best in both conventional and premier movie experiences. Regular movie screenings will commence with the official opening of the completely rebuilt cineplex on October 13, which will offer a host of amenities, including luxurious halls with reclining chairs. 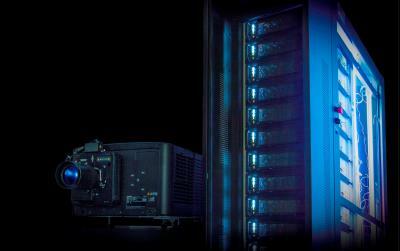 Christie’s RGB laser projection system is the preferred choice for a premium 3D cinema experience in a number of cinema chains around the world. In Asia, theaters equipped with Christie laser projection technology include Tongzhou Wanda Cinema in Beijing, the iconic Shanghai Film Art Center, Suning Cinema in Shanghai and Zhenjiang, Oscar International Cinema in Xi’an, and SM Seaside City in Cebu, the Philippines.